The Notice of Race for the 7th annual Charlotte Harbor Regatta, set for Feb. 4-7, 2016, has been posted. The regatta will feature 10 classes, including the F18, F16, Hobie 16, Wave, WindRider 17, Weta, 2.4mR, Precision 15, Harbor 20 and Flying Scot. The 2016 Charlotte Harbor Regatta will feature the Will White Cup. Named in honor of Sunfish racing legend and �The Sunfish Book� author Will White, the cup will be awarded to the Boat of the Week. 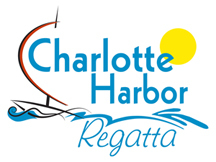 After its inception in 2010, the National Association of Sports Commissions recognized the regatta as its �Best Local Event� and the Charlotte County Visitor and Convention Bureau honored regatta organizers with its 2010 �Event Development Award.� The CHR board staged the International Association for Disabled Sailing�s 2012 IFDS World Championships and the 2013 regatta featured the 64-boat strong Laser Masters Midwinters East. Charlotte Harbor has also played host to the 2.4mR North Americans and the U.S. 2.4mR Class Association Nationals since 2011. Both will return in December 2015. In October 2015, CHR served as the organizing authority for the F18 Americas Championship. The 7th annual Charlotte Harbor Regatta will once again feature a wildly popular Pusser�s Rum Beach Party at Port Charlotte Beach Park. Limited on-site tent camping is available. To view the 2016 Charlotte Harbor Regatta NOR, go www.charlotteharborregatta.com. For participant, media and sponsor inquiries, e-mail Brian Gleason at gleason@charlotteharborregatta.com or call 941-661-6415.